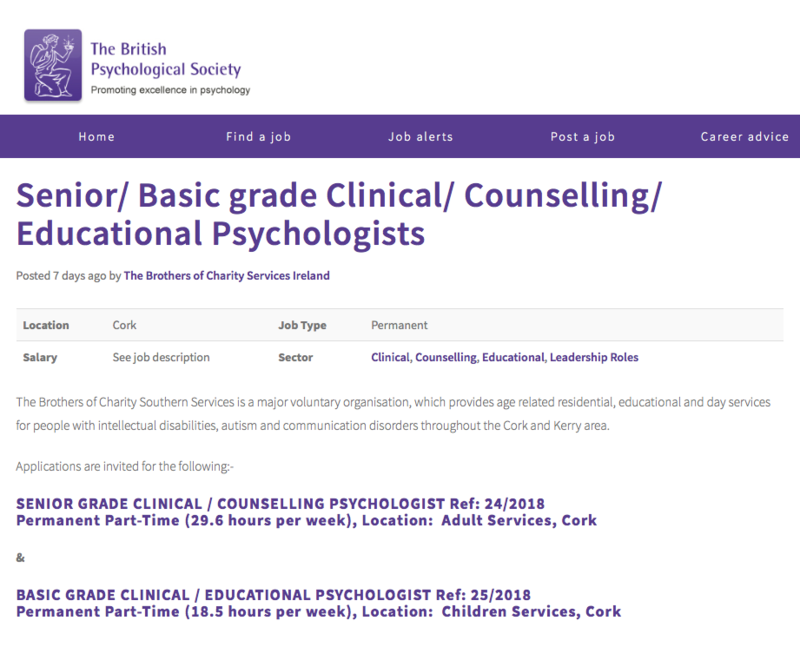 Senior and Basic Grade Clinical / Educational Psychologists Senior Grade Clinical / Counselling Psychologist Basic Grade Clinical / Educational Psychologist at the Brothers of Charity Services Ireland. Dr Mark Quinn is Head of Psychology Department Cork and Psychology Head of Discipline Kerry for Brothers of Charity Southern Services. They are advertising posts in both Kerry and Cork. - Find the job on our Psychologist Appointments website.